News – Expedition Technology, Inc. The Washington Business Journal has announced the 100 best companies to work for in the DC/NOVA metro area for 2019. The Best Places to Work list is determined by an employee survey administered by Quantum Workplace which measures employee engagement scores. An awards reception to be held on Thursday, May 16 at the MGM National Harbor will reveal the rankings of all 100 companies selected in three categories; small, medium, large and extra-large. This year, there were over 500 companies that applied for inclusion on the list and only 100 were selected. Inclusion on this list is quite an honor and affirms what we already know: that Expedition Technology is the Best Place to Work! DARPA’s Artificial Intelligence Colloquium (AIC) is taking place this week at the Hilton Alexandria Mark Center and aims to “highlight recent research results across the full breadth of DARPA’s investment in advancing the state of the art in AI”. As we’ve noted before, Expedition has been at the forefront of this work, architecting novel deep learning architectures and applying them to both image and signal solutions for our country. But you don’t need to take our word for it. This week our own Mr. Enrico Mattei, a research scientist at EXP, was requested to to present the summary of the goals of DARPA’s RFMLS program. (UPDATE 26 March 2019: The video of his presentation is now available on YouTube and is embedded above.) RFMLS is aimed at mapping the internet of things with machine learning to improve security through spectrum awareness and emitter identification. Enrico, as the Principal Investigator of our RFMLS effort, is one of only a few non-Government attendees asked to give a talk at the Colloquium. We’re especially proud to have him represent the foundational and novel work the team has been doing on the RFMLS effort. The 3rd Annual Naval Applications of Machine Learning (NAML) workshop was held the 11th through the 14th of February in San Diego. It is hosted by SPAWAR Systems Center Pacific and it featured “oral and poster presentations on technical topics including autonomy, computer vision, and cybersecurity”. It has quickly grown from a great idea to a significant venue for showcasing applied machine learning solutions in our community. Expedition (EXP) has been attending this conference since the first and is very happy to be participating this year as well. EXP’s CTO, Greg Harrison, presented our most recent work on object detection and tracking in Wide Area Motion Imagery, while Senior Scientist Enrico Mattei outlined our progress in developing state-of-the-art deep learning systems for analysis in the radio frequency realm on our RFMLS project. These topics were also discussed in an open forum at the GTC-DC conference late last year. The presented projects aim at taking the best approaches in this rapidly evolving field and developing them into deployed, modern solutions in support of the United States. They represent premier examples of the work our team perform here at EXP and why we are proud to be a part of it. If you think you would like to spend your days working on solutions to similar problems, apply to one of our positions or reach out to us here or to one of our folks on LinkedIn. We are happy to talk to you about life at EXP. https://www.exptechinc.com/wp-content/uploads/2018/10/Group-1.jpg 3532 7266 Stephen Johnson https://www.exptechinc.com/wp-content/uploads/2018/02/logo_alpha_large.png Stephen Johnson2018-10-30 10:03:032018-11-02 10:24:26Oh, The Places We’ve Gone! The projects outlined in these talks are great examples of the type of work we tackle here at EXP and are also representative of the state-of-the-art algorithms and results we are developing. If taking on these kinds of big ideas and building solutions to address them is the sort of thing you would love to be doing, drop us a line or check out our current job postings! NEW YORK, August 15, 2018 – Inc. magazine today revealed that Expedition Technology is No. 489 on its 37th annual Inc. 5000, the most prestigious ranking of the nation’s fastest-growing private companies. The list represents a unique look at the most successful companies within the American economy’s most dynamic segment—its independent small businesses. Microsoft, Dell, Domino’s Pizza, Pandora, Timberland, LinkedIn, Yelp, Zillow, and many other well-known names gained their first national exposure as honorees on the Inc. 5000. “The more than tenfold increase in revenue growth over the last three years is the result of the dedicated drive of our employees and an array of incredibly supportive customers. We have worked hard to align our capabilities with some of the highest priority challenges facing our nation, and we anticipate this positioning will allow us to solve larger and more complex problems in the years to come,” says Marc Harlacher, President and CEO of Expedition Technology. Expedition Technology (EXP) offers expertise in algorithm and system development spanning application areas from radar, lidar, imaging and full motion video, to communications, navigation, signal intelligence, and data analytics. With backgrounds as active duty Naval Flight and Air Force officers, engineers, scientists, mission operators and executive managers, the EXP team understands the importance of evaluating challenges from the customer perspective. Our vision is to build EXP into a formidable provider of differentiated image and signal processing products for commercial, defense and intelligence customers. (Dulles, VA) August 2, 2018 – Expedition Technology, Inc., is proud to announce the receipt of a three-year prime contract award worth up to $9.1 million from the Defense Advanced Research Projects Agency (DARPA) for the Radio Frequency Machine Learning System (RFMLS) program. 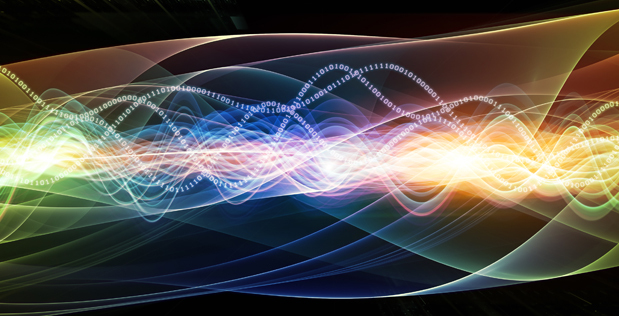 RFMLS is the first DARPA program to emphasize the application of machine learning to the RF spectrum. Machine learning is demonstrating considerable success when used in related fields including speech recognition and computer vision, but it has not yet been similarly applied to the crowded spectrum of signals that currently exists. Through this contract, Expedition Technology and its partners will develop the foundations for applying modern data-driven Machine Learning to the RF Spectrum domain as well as develop practical applications in emerging spectrum problems which demand vastly improved discrimination performance over today’s hand-engineered RF systems. Ultimately, these innovations will result in a new generation of RF systems that are goal-driven and can learn from data rather than being hand-engineered by experts. The four technical components of the program include: feature learning, attention and saliency, autonomous RF sensor configuration and waveform synthesis. A successful RFML system is intended to address the need for enhanced spectrum situational awareness. By discerning subtle differences in signals transmitted by mass-produced devices, RFMLS strives to identify signals intended to spoof or hack into devices in the Internet of Things (IoT). Additionally, RFMLS investigates new paradigms for the rapid evaluation of broad spectrum use to better support cognitive radio applications. EXP is a prime contractor for DARPA’s RFMLS program, leading a team that includes the International Computer Science Institute (ICSI) and Leidos as partnering subcontractors. Expedition Technology (EXP) is a leading developer of machine learning algorithms and autonomous systems for defense and intelligence C4ISR applications including radar, lidar, imaging, full motion video, communications, navigation, signal intelligence, and data analytics. As a small business with extensive experience researching, engineering, developing and operating civil and military defense and aerospace systems, EXP is applying rapidly evolving machine learning capabilities to provide our U.S. Government customers with improved situational awareness and actionable intelligence. Expedition Technology today announced that it was selected as a finalist for the 10th Annual Small and Emerging Contractors Advisory Forum (SECAF) Awards. Winners will be announced at the SECAF Awards Gala on Tuesday, May 10, 2018 at the Hilton McLean in Tysons Corner. The event honors small and emerging government contractors and the players in the industry that rely on small business.